Felix Weingartner (1863-1942) has been known to us until now primarily as a great conductor, especially of the Vienna Philharmonic and the Vienna Hofoper, where he succeeded Mahler. 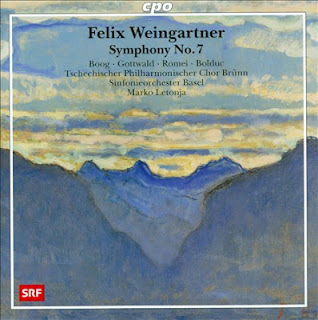 The recordings that came out on LP eventually have been cherished possessions, for Weingartner conducted with a very balanced and clear vision, a more "golden mean" sort of conductor than a romantic per se. It turns out he was a prolific composer as well. Marko Letonja and the Sinfonieorchester Basel have made a new recording of his Symphony No. 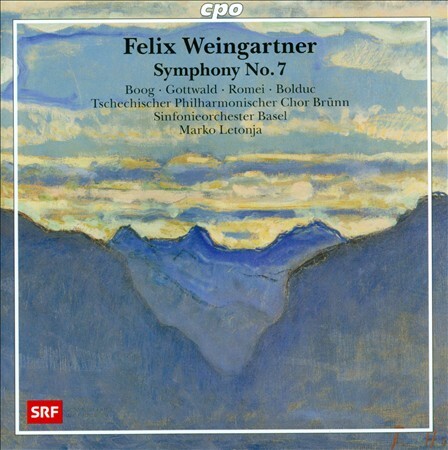 7 (CPO 777 103-2) which is an ambitious work for full orchestra, choir and soloists. Perhaps this will mark a turning point in his international reputation. In any event it is a work of great orchestrational command, thematic depth and dramatic impact. Without sounding like them, Weingartner in his 7th shows some of the largeness of Bruckner and Mahler. It is a work of soaring rhapsody, cosmic mystery and fully fleshed-out grandeur. The performance is quite impressive, passionate and sympathetic, so we get a very fair hearing. I have no idea what the rest of his music sounds like, but Symphony No. 7 is a winner. Lovers of the symphonic tradition from Beethoven through Mahler will no doubt revel in this recording. Whether Weingartner is here to stay time can only be the judge. If you aren't familiar with the solo piano music of Mieczylaw Weinberg, you may well be as happy as I am with what I am hearing. That is, if you like classical-modern Eastern European music in general. 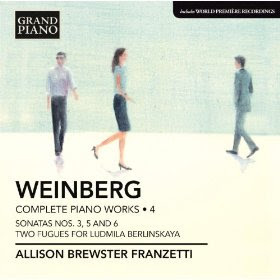 The Complete Piano Works 4 (Grand Piano 611) features Allison Brewster Franzetti in fine performances of some major mature works: the Piano Sonatas Nos. 3, 5, and 6, and a world premiere recording of his brief opus "Two Fugues for Ludmilla Berlinskaya." No. 3 was written in 1946 after, having escaped Nazi persecution, he was well settled in Moscow. Nos. 5 and 6 are later works, from 1956 and 1960, respectively. They constitute Weinberg at his very best. The Fugues date from 1983. These are idiosyncratic Weinberg works, original, a bit melancholy, filled with great bursts of melodic counterpoint, motor impulse rhythms, the spice of modern harmonies and the grand sweep of greatness. They are beautiful works, played with feeling and sensitivity by Ms. Franzetti. Highly recommended. What is interesting about the whole affair is the sheer sensuous variety of sound universes created with these more-or-less straightforward means. Kaiser's horn work is loaded with both unconventional and conventional sound producing techniques; Phil complements, extends and resituates what Jeff is doing with a "hands-on" manipulation of the prepared keys, again both conventional and less so. String quartets with folk roots, that nonetheless still have a modern aura about them? We get that quite nicely with Del Sol String Quartet's ZIA (Sono Luminous 92164). 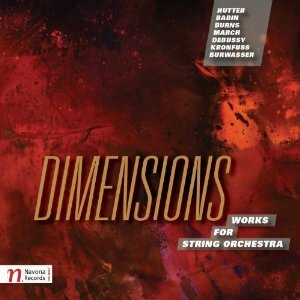 It's an anthology of five composers, five works, five ways of nourishing roots in the modern world by adapting them into the string quartet idiom. It's a good idea, backed up with works and performances that bring the idea to light with a bright sort of flame. The title is in fact the name of an Indian tribe and the back cover shows an illustration of their sacred sun symbol. So we have Gabriela Lena Frank's six movement Leyendas: An Andean Walkabout (2001), the very familiar Lou Harrison in a fairly late work, from 1978-79, String Quartet Set, which deals in Middle-Eastern influences for the most part, Jose Evangelista's Spanish Garland: 12 Folk Melodies from Spain (1993), the Persian inspired Nayshaboorak (Calligraphy No. 6) (2005-6) by Reza Vali, and Elena Kats-Chernin's Uzbekestanian rooted Fast Blue Village 2 (2007). The works fit together well, thanks to their emphasis on melodic characteristics and on the Del Sol Quartet's very direct, no-nonsense interpretations/performances. It's a beautiful set, a change of pace for the modernist ear that can still welcome and appreciate new ways of making the music alive again. It is also quite a feather in Del Sol's cap. They sound marvelous. Anne Vanschothorst is a Netherlandish harpist-composer. 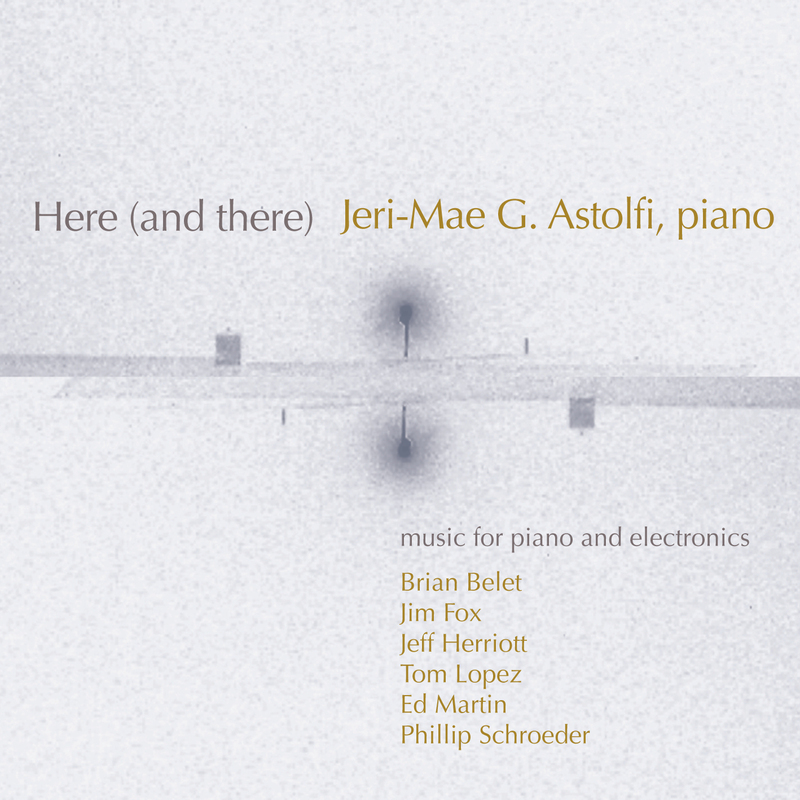 For Then It Became Clear (self-released) she is joined by Arthur Bont (in those pieces that call for percussion accompaniment) for a most engaging recital of her minimalist compositions. Often enough the sound is almost medieval-like as much as it is minimalist, the minimalism being more Satie-esque than Philip Glass-ish. This suits my ears very well. Ostinatos and folk-like, song-like repetition strains seem fresher to my ears than some of the more overdone minimalist tacts. She has a more lyrically dense than a rhythmically dense emphasis much of the time, which works well for the harp. The sound is intimate, something to enjoy and contemplate in solitude, without the distractions of everyday commotion and turmoil that we increasingly find ourselves faced with in this post-industrial world. The music will fit in with whatever mood you may be in. It is a lovely break from the humdrum. Her playing is authoritative, precise and expressive. If you love the solo harp like I do, Anne Vanschothorst's Then It Became Clear is a bit of a godsend. Music to revel in more than revel with? Yes!! Recommended. Not everything, of course, is great, is what you personally like, or even suits your mood at the time you listen. As a reviewer/"critic", I need to wait if my mood isn't right, and my personal likes have to be tempered to what I nonetheless appreciate, regardless of my ultimate desert island choices. That is not a problem with today's album Convergence: The Music of Stewart and Gershwin (Navona 5892). 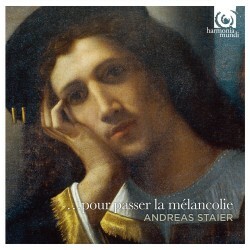 Though this recording would not make my desert island list, it is thoroughly likable. My mood never nixes its sounds. It feels right listening any time. The somewhat unexpected juxtaposition of the Tower Brass Quintet performing a suite from Porgy and Bess and two works by David Nisbet Stewart for piano and ensemble does not seem misaligned. In a concert situation, of course, such combinations are expected, welcomed. It's rare when a concert bill has a singular focus, at least in the mainstream of the "season" and its typical offerings. 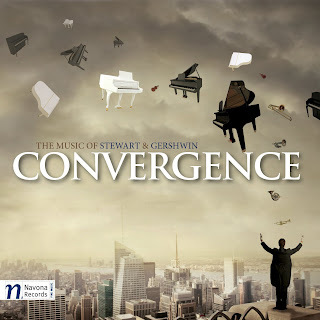 And the passage from the Stewart "Concerto for Piano and Orchestra," to the brass quintet's Gershwin and on to Stewart's "Suite for Piano-Brass Quintet" has a sonic flow that makes textural sense and stylistically works together. I would not go so far as to say that there is some bonifide "convergence" happening here. Stewart's music uses the solo piano in ways that do not clash with how Gershwin did such things. Stewart's music is down-to-earth and pleasing. It's not exactly "jazzy" but it has roots in the reworking of traditional vernacular--but then not in any direct sense. Both his works, presented well here, have a kind of backward look to them, yes to Gershwin perhaps and that era, without necessarily following dots to the reproduction of such things. Stewart's music is also in line with Ives' modernization of a concert in the park, a hymn tune, and other such things, which were not entirely archaic at the time he originally wrote the music he did, but certainly are now. Stewart does in his own way with archaic materials what 20th century American composers did sometimes. They made reference to Americana without necessarily quoting, giving a savory whiff of the forms without calling them into being, so that there is a mood more than an adaptation. Not that Stewart's music isn't modern sounding. It is in the early modern Americana sense. And so it has charm. It also has enough depth that this is not a light classics jaunt or a spill into the "pops" idea. And so the two Stewarts plus the one Gershwin wear well, don't seem at all dated, fit in with various moods without insistence, and provide some very worthwhile music for under an hour, whenever it strikes you to listen. That's a fine thing to my way of thinking. Sometimes our culture cultivates the pretension that we will all live forever, as long as we take the meds prescribed, eat healthy foods, exercise at the gym, etc. The fact is, we won't. So when we celebrate Benjamin Britten's 100th birthday this year, it is with the full knowledge that he no longer is with us. A great composer may not be with us physically for very long, but his or her music outlasts us all, if the music is that good. Benjamin Britten's music sounds more timeless, more lasting to me than it did when I first started listening. The best of it transcends the period and style of its making to become itself nearly wholly. The Amsterdan Sinfonietta under Candida Thompson have put together a selection of some of his best, most well-known works for string orchestra and soloists, calling it simply Britten (Channel Classics 32213). We get his "Les Illuminations" from 1939 with Barbara Hannigan taking the soprano role, the "Variations on a Theme of Frank Bridge" (1937), the "Serenade" (1943) with James Gilchrist as the tenor and Jasper de Waal as horn soloist, and as a closer, the short, rather obscure "Now Sleeps the Crimson Petal" also from 1943, again with de Waal. These are energetic, expressive versions. The soloists are very good and the precise, matter-of-factness of Britten's original recordings contrasts with the exuberance of the Amsterdam Sinfonietta under Thompson. These versions are different enough that someone with multiple recordings of the works will gain yet another perspective by hearing this recording, and representative enough that they will serve the dabbler into Britten's oeuvre rather well. It is a sign of a productive interpretation that it changes how you hear a piece. These versions do that. He sounds timeless and placeless on these renditions, less English and more international, whatever that actually entails. The versions can stand side-by-side with the very best and hold their own, in their own way. Recommended. We are in a mystical zone one more time today. A Taoist opera may not be the stuff of extraordinary action and drama, partially because Taoism has a "do nothing with a purpose" intent at times. Here in the 21st Century, after 100 years of modernism, we don't tend to find that off-putting, at least those who have been exposed to the arts of today in any measure of constancy. Kyong Mee Choi has created such a work, The Eternal Tao, which combines voices and instruments with electronics, video, dance and enhanced lighting. A DVD of the opera has just become available (Ravello 7866) making it possible to see and hear the complete multimedia presentation. The music has flow, microscopic detail and at times long clusters of sound that have some relation to works of Ligeti, Xenakis, and Penderecki. The music is not quite as abrasively avant and dissonant as some of the works by those mentioned above, but instead concentrates on oft-times mysteriously floating clouds of sound, other times slightly more pointed sound events that overlap. 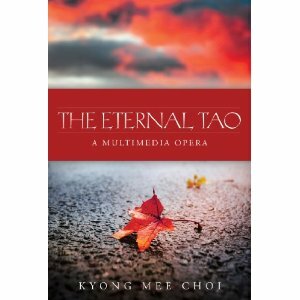 The music seems well enough performed and the content of the libretto has to do with Lao Tze's masterwork, the Tao Te Ching. Slow movements of dancers, moody lighting, video juxtapositions of sometimes simple images--a piece of fruit for example--layer over the stage images of dance, the presence and performance of multiple and solo singers, the performance of the orchestra in the foreground. Multiple camera angles overlap at times creating a less literal video image than sheer documentary videos might strive for. My main quibble with the video is that it is sometimes because of those various image collages difficult to get a feel for what the person in the audience (this is live) might actually be seeing. It is also for the same reason hard to gauge the immediate effect of the dancers on the audience, what the body of dancers look like from the spectator's panoramic glance. So in that sense I find it a little difficult to evaluate the full impact of the dances. They seem to be somewhat integrated, slow gestural movements that fit in with the multifaceted impossibility of describing or representing the Tao. I will say this: the music/libretto portion of the opera works well. I suppose an actual seat in the performance arena would give me a better idea of the full effect. There are some things a TV screen can't quite represent. Perhaps that is the point? Anyway, musically/contentually this is of genuine interest! I look forward to hearing more of Kyong Mee Choi and experiencing this opera again. ...and speaking of mysticism, as we did yesterday, here is a modern/postmodern offering that has some of that as well. Specifically, we have a compilation produced by Heiner Stadler for his Labor Records of some singular modern music--out on LP years ago (the '70s) and now reissued with additional material. 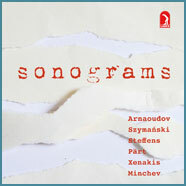 Sonograms (Labor 7090) has an unusual mix of compositions for recorders, solo piano, and one for string quartet. 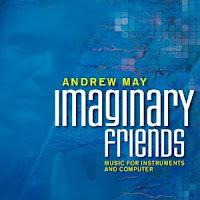 The composers are, especially for the early '70s when the LP version was first issued, a mixture of the pretty obscure to the well-known, Xenakis, Part, Gheorghi Arnaoudov, Pawel Szymanski, Walter Steffens, and Georgi Minchev, the latter with a five part solo piano work for which the album is named ("Sonograms"). Other than Walter Steffens's turbulent string quartet "Ecstacy," the music alternatingly features Angela Tosheva on piano and Benedikta Bonitz on recorder(s). Both show themselves in a very good light. There is mysticism (Arvo Part) and all kinds of modernist, pomo, and avant-old-new strains. 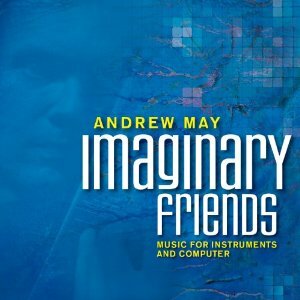 There are some real finds here, such as Szymanski's highly singular "Two Studies" for piano, for example, which has a sound all its own. And Arvo Part's "Arbos" in a recorder ensemble version is irresistible. If you want a real change from the ordinary, Sonograms provides it with a very rangy selection of music for today. I find the whole thing very captivating. The later modern concert world has perhaps less of the mysterious as a theme than might have been the case in the romantic-early-mid-modern era. Scriabin, Ives, Messiaen and Crumb come to mind. But then there is Andrew McPherson. 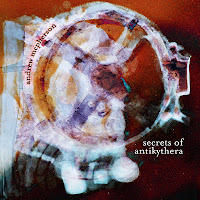 His Secrets of Antikythera (Innova 842) is an excellent return to the mysterious. With a nicely preliminary solo viola piece, "Kinematic," setting the stage, he jumps into a first short piece and then a long multi-sectioned one (the title work) for magnetic resonator piano (the first work also includes cello). It's a conventional piano miked, the signal threaded through a magnetic resonator electronic device. If you know Charles Dodge's Earth's Magnetic Field, an electronic music work out in the later '60s, you know the sound. It is very rich and mystically mellow. Add the conventional piano sound to that and it gets very interesting. The piano part is quite involved, and often suitably resonant in itself. 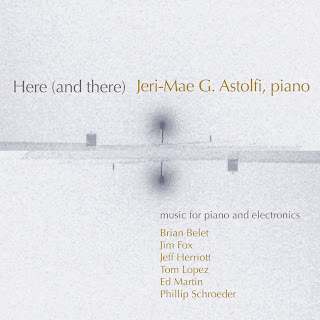 The ghosts of Scriabin and Messiaen and spirit of Crumb haunt the music a bit but there is very strong individuality to be heard and marvelous piano writing. It's rather glorious music, very much its own secret mood and musically profound. If you are as I am a lover of the modern piano as grand narrator (Messaien) of a mystery story, this will get you very happy. McPherson boosts the piano repertoire with a major thrust forward on this one. And Ryan MacEvoy McCullough gives a fabulous performance. Highly recommended! 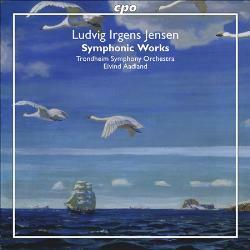 Another (to me) new composer on the docket, Norway's Ludvig Irgens Jensen (1894-1969) and a collection of his Symphonic Works (CPO 777347-2 2-CDs). Conductor Eivand Aadland leads the Trondheim Symphony Orchestra convincingly, making a case for Jensen on most attractive terms. This is Nordic symphonic music that doesn't so much follow Grieg, Sibelius or Nielson as strike out on a similar path. It's music that has a little of the mystery of the North, whatever that means, and lots of very logically and expressively pleasing orchestral music. This is the tune-al lyricism that could well translate into popularity--though it is not "light" music, other than the presence of sunshine and shadow. Aadland allows the music to breathe, to glow, to come into our lives with a friendly countenance. It seems like an excellent antidote for a frigid winter, or the compliment of a lovely spring. You get the idea? Very Nice. Today another interesting item that falls somewhere between new music (concert), avant improvisation and electro-acoustic music. It's a good one from Mutable Music's download or disk series, by the Particle Ensemble (Self-Titled). 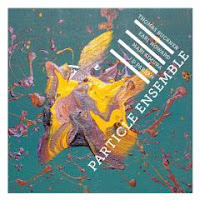 The ensemble features Thomas Buckner, baritone vocalist, who has made something of a name for himself (deservedly so) as being a fulcrum point in the improv/avant classical nexus that has been developing in new directions recently. Avant reedist J D Parran appears here on the bass sax, alto flute, bamboo flute and mbira. 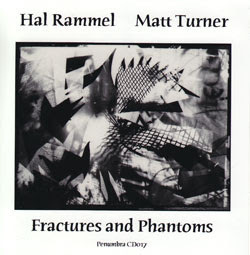 Mari Kimura is on violin, and Earl Howard provides the electronics and performs on saxello. 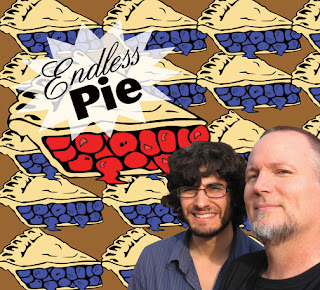 The album is in three parts, beginning with Howard's "Frond", followed by J D Parran's "Pundititus", and concluding with Earl and Tom's "Duo Improvisation." These are live concert recordings. The music is filled with ambiance without being the equivalent of a mood ring. Buckner's unique vocal style and excellence in both pre-planned and improvisational realms is a critical part of what goes on. J D Parran creates parts with care, a keen ear and a rich pallet of timbres. He varies between "free" sounding reedwork and more compositional lines with ease. 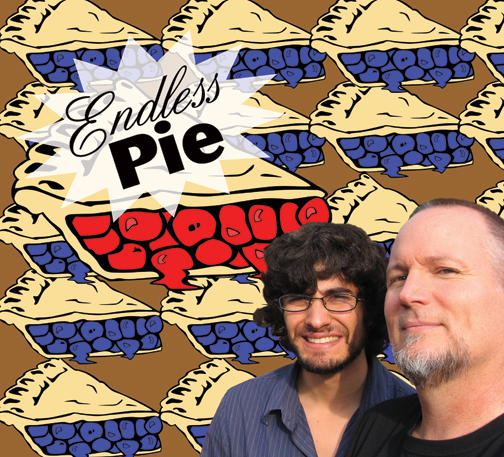 Earl Howard brings in electronics that integrate well with the instruments yet provide complex and evocative timbres. Mari Kimura fits in with a flittingly yet communicatively free conciseness for the first work. This is music that brings rewards for concentrated listening. The full quartet, trio and duo segments all fill the musical ear with complexity and space, narrative thrust and expressive push. The music flows more than floods. It is not without energy yet it is not energy music. It has classical parceling and improvisational interjectability. It is highly engrossing and yet accessible on a basic level, avant without an avant aggressivity. It partakes of the sensibilities of classic AACM work and the horizontal qualities of improvisational Stockhausen, yet sounds like neither. Excellent! 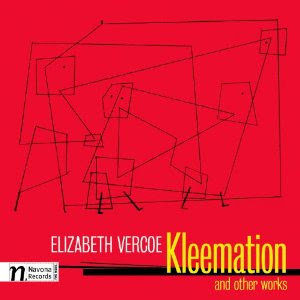 I would recommend you hear this if you want to explore what good things are being done in the interstices between avant classical and avant jazz. The reason of course that string quartets adapted to string orchestra sound a certain way, sometimes not as well as music originally conceived for the larger ensemble, is that the sonic universe is different. One ideally writes for the string orchestra differently than for the string quartet. The presence of contrabasses and the masses of strings makes something sound ravishing that might not sound as well for the quartet. Take for example Barber's well-loved Adagio. It has a sensuousness that the orchestra brings to it that you do not get (in the same way) for quartet. The new collection Dimensions: Works for String Orchestra (Navona 5895) capitalizes on that sonarity in a series of eight modern-era works, mostly by relatively less-known composers. The exception is Debussy's "Maid with the Flaxen Hair," which sounds quite lovely here. Otherwise there are works by Gregory Hutter, Louis Babin, Reynard Burns, Andrew March, Rudy Konfuss, and Daniel Burwasser, played by a variety of orchestras and conductors, all sounding well. This is predominantly modern tonal territory, impressionist and neo-impressionist, or in other words sumptuous but not bloated, showing a sensuousness without lengthiness, and the presence of musical daylight. 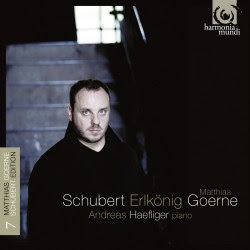 I mentioned earlier Barber's Adagio, and there is a fair amount of music here that has a similar kind of hushed sprawl, long sustained lines, things that string orchestras sound especially good at realizing. There are some pieces/movements that get lively as well, so there is a good pace to the disk. It is a very pleasant listen. It is music of substance that will nevertheless appeal to a large audience if they get a chance to hear it. Nicely done!